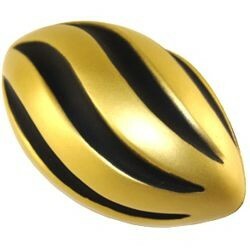 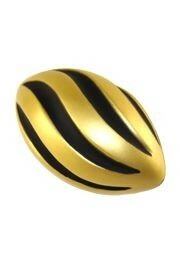 These black and gold spiral foam footballs are great throw and great catch. 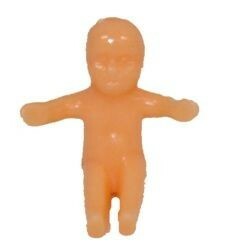 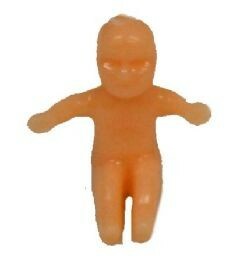 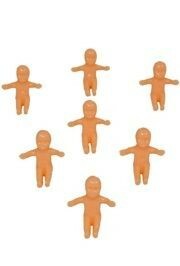 Comes in a red mesh sack - crawfish sack. 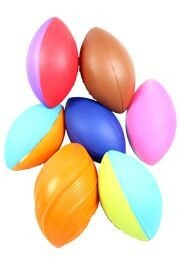 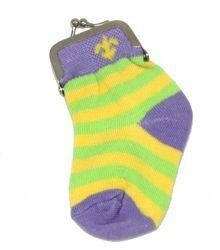 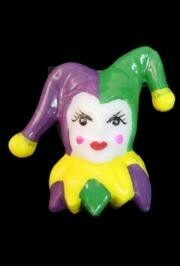 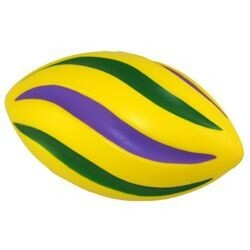 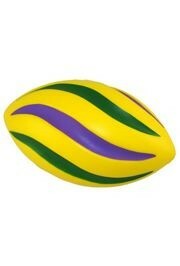 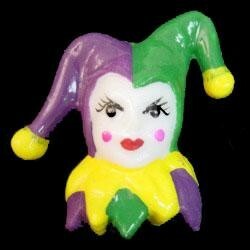 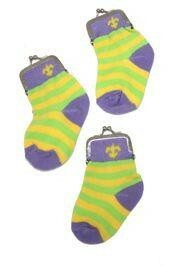 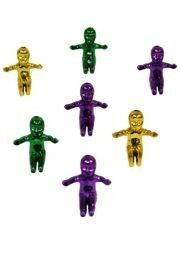 Have fun on your float with these Mardi Gras color spiral footballs.